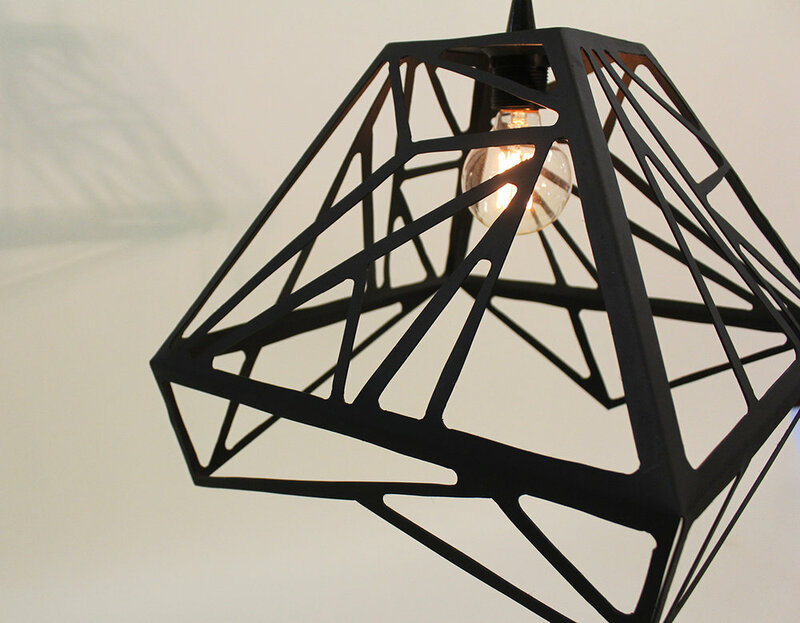 This handmade hanging lamp was constructed solely from sheet steel. Every piece was cut out by hand from a single plate of metal. Each corner was bent and with the final edge being welded on one seam. Creates beautiful shadows with different bulbs. 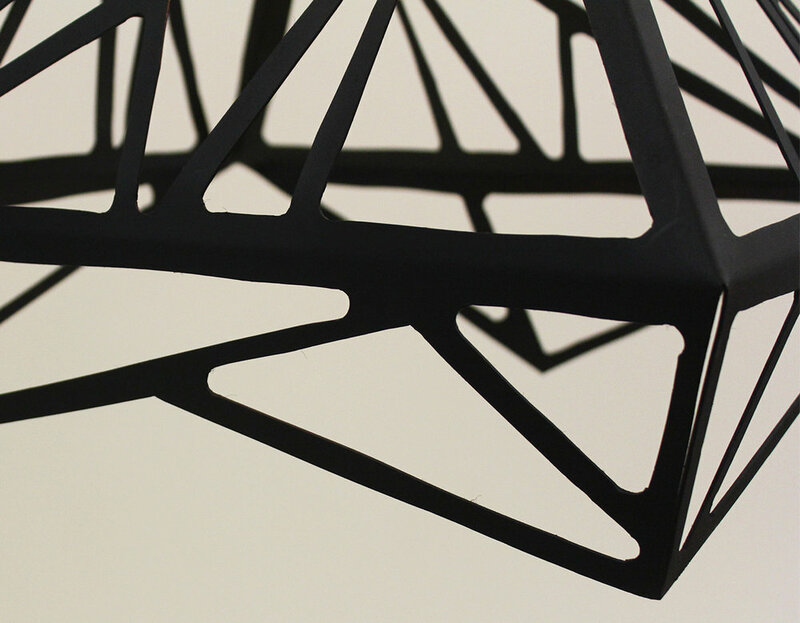 Painted flat black this lamp is nice piece for your home or business. Dimensions 15"h x 15"w x 15"d.